My family was talking about going Christmas caroling, so I decided to make some cookies that we could pass out to the people we caroled to. 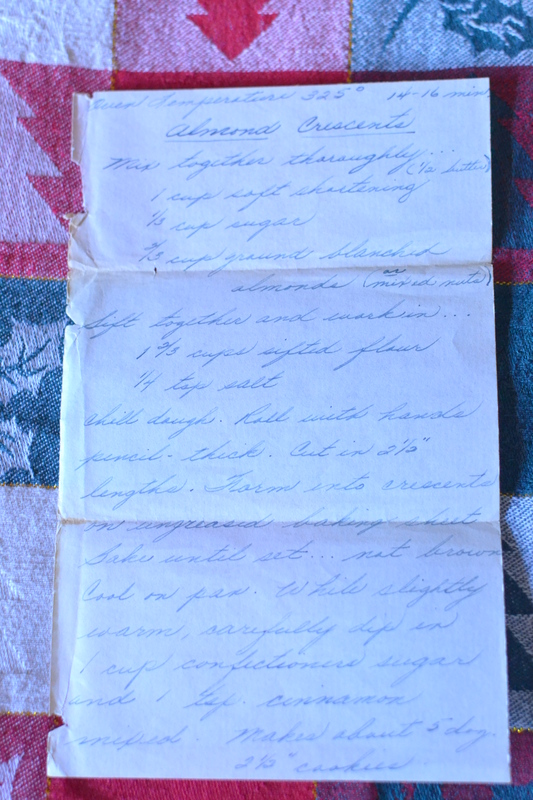 When I first found this recipe in Grandma Dora’s recipe box, it stuck out because it was written on a piece of stationary rather than an index card and it was written with beautiful handwriting. When I looked at the recipe, I noticed it was made with just a few simple ingredients. Mix together thoroughly . . .
Sift together and work in. . .
Chill dough. Roll with hands pencil thick. Cut in 2 1/2 inch lengths. 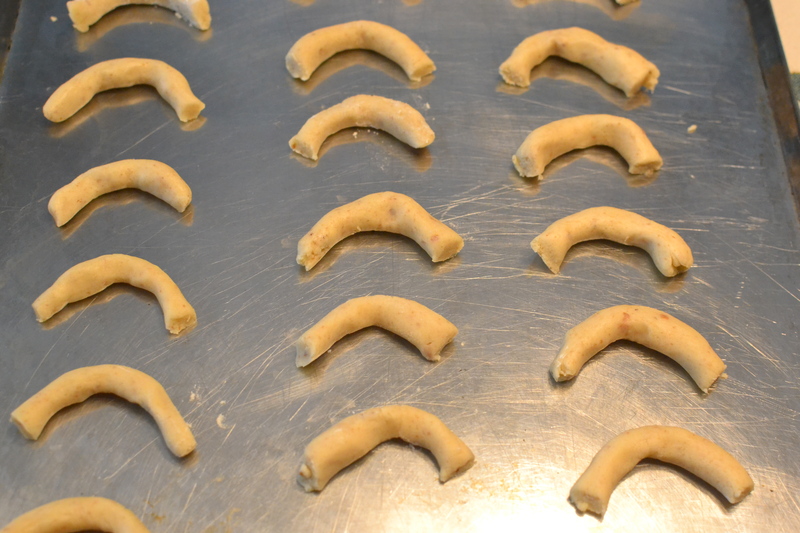 Form into crescents on ungreased baking sheet. Bake until set. . . not brown in a 325 degree oven for 14-16 minutes. Cool on pan. 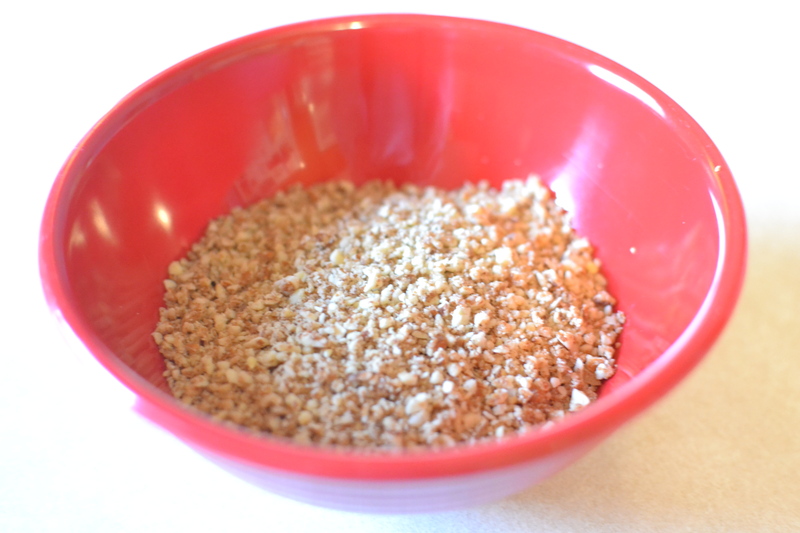 While slightly warm, carefully dip in 1 cup confectioners sugar and 1 teaspoon cinnamon mixed. Makes about 5 dozen 2 1/2 inch cookies. To begin with, I ground up the almonds. 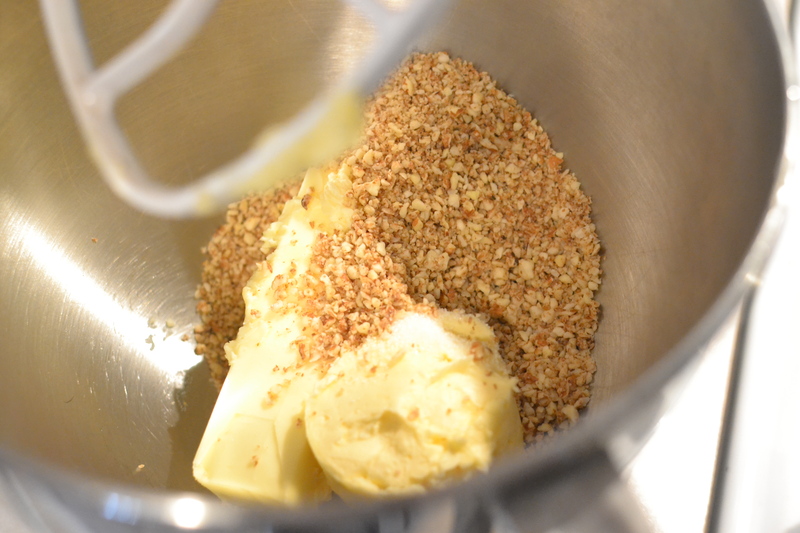 I then put the ground up almonds in the kitchen aid with the sugar, shortening and butter. I mixed these ingredients thoroughly. I then worked in the flour and salt. 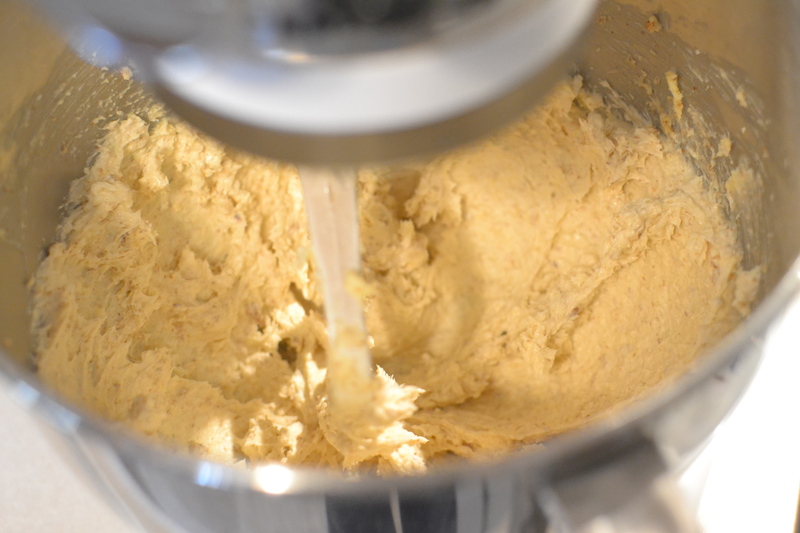 After they were well combined into the dough, I set the dough in the refrigerator to chill. 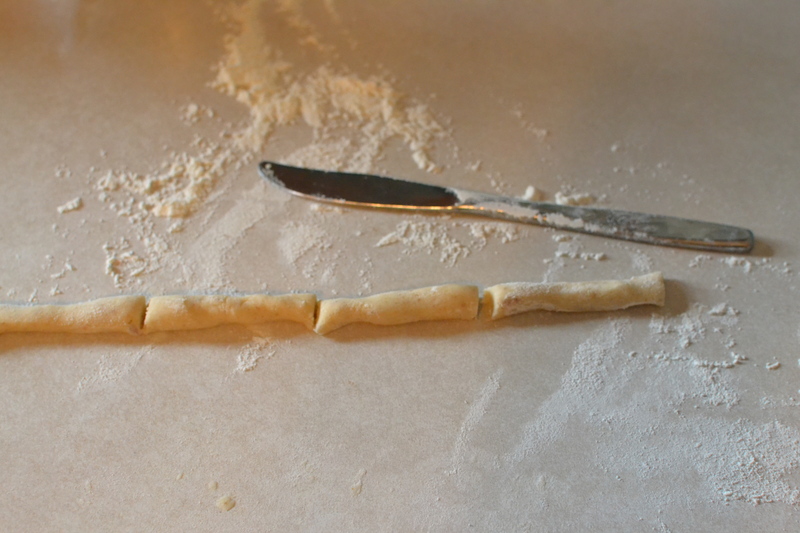 Next I rolled the dough until it was pencil thick and cut it into 2 1/2 inch lengths. This was a little tricky to get the hang of, but by the end I had it down to a system. I then formed the 2 1/2 inch lengths into crescent shapes and placed them on ungreased baking sheets. I baked them for about 16 minutes at 325 degrees. I let them cool slightly on the pan and then carefully (and carefully was the key word because they were very delicate and broke easily) dipped them in confectioner’s sugar and cinnamon. I really like how these cookies taste. They have a very sophisticated look and flavor. I think if I made them again, I might bypass the crescent shape and just make them in balls. This would really make the whole process very simple. 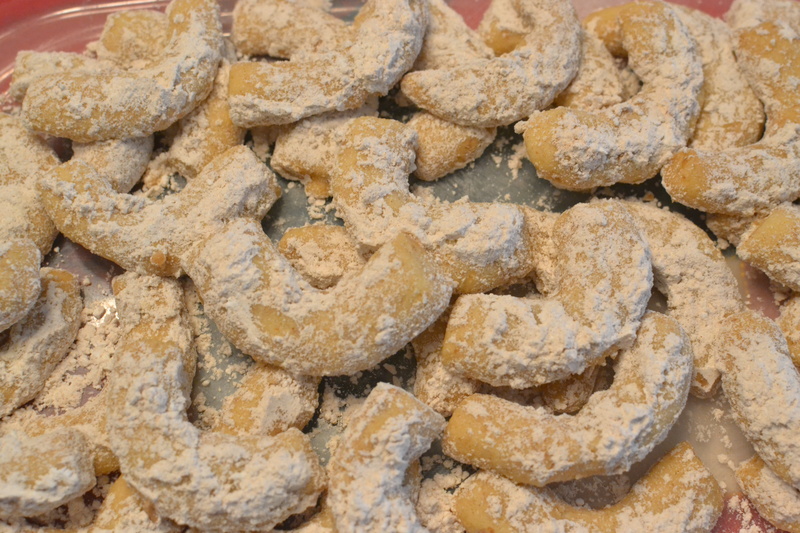 But, whichever way you make them, they are definitely a nice addition to your Christmas celebration! 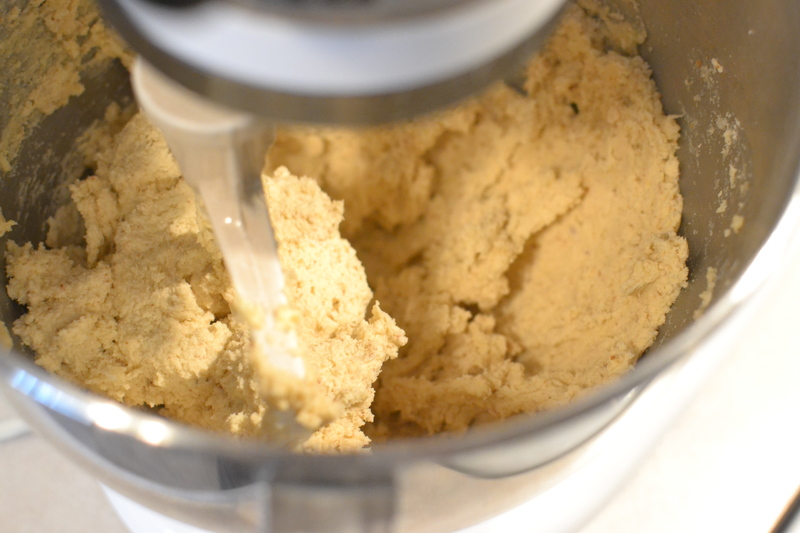 This entry was posted in Cookies, Dessert and tagged Almonds, baking, Cookies, dessert, home baking, homemade, Kitchenaid, scratch baking by GrandmothersRecipeBox. Bookmark the permalink.